How is a low hemoglobin level (anemia) linked with colorectal cancer, and what levels of low hemoglobin are considered mild, moderate, or severe? Hemoglobin refers to a protein, found in red blood cells, that is responsible for carrying oxygen from the lungs to all other tissues of the body. Red blood cells circulate through the lungs and the hemoglobin in these cells pick up (bind with) oxygen. These cells carry the oxygen, in a form called oxyhemoglobin, out to the tissues and cells of the body. Once at the proper destination, the oxyhemoglobin releases the oxygen and becomes hemoglobin again. The red blood cells, carrying hemoglobin (without oxygen), circulate back to the lungs to pick up more oxygen, and the process begins again. Hemoglobin is often measured by a blood test to help analyze how well the red blood cells are able to carry oxygen to the rest of the body. Hemoglobin is included as part of a Complete Blood Count (CBC) test and used to check for anemia. 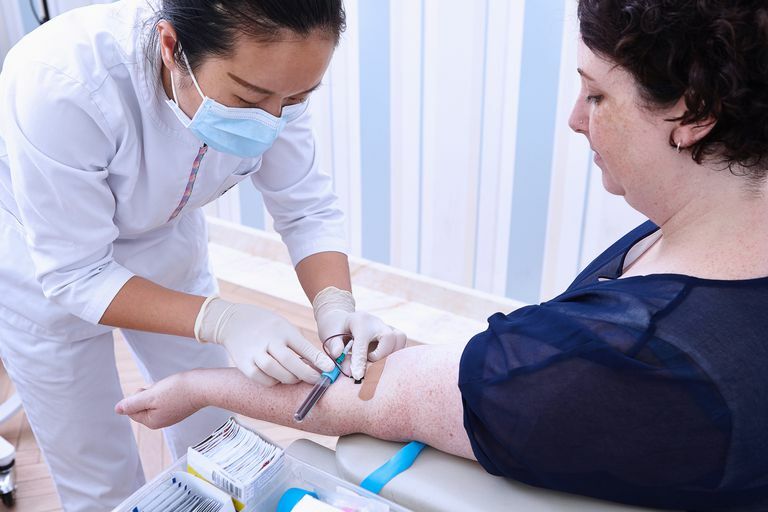 When it is low, the results of a hemoglobin test can indicate conditions ranging from mild, such as not getting enough iron in the diet, to serious, such as abnormal bleeding due to colon cancer or other health problems. What If My Hemoglobin Is Low? Why Is My Hemoglobin Low? A low hemoglobin can often be explained by known blood loss, such as from menstruation, or it can be the first signal to a physician that there is occult, or hidden, bleeding somewhere in the body. The gastrointestinal tract is one of the most common sites of occult bleeding and can be due to hemorrhoids, polyp, colon cancer or other conditions. Depending on your age and health history, a low hemoglobin test may indicate the need for a colorectal cancer screening test such as a colonoscopy. In those with established colorectal cancer, anemia can be caused by a number of different factors, including cancer itself, as well as treatments such as radiation and chemotherapy (especially a group of chemotherapy drugs known as platinum-based chemotherapy).